Escutcheon Media - Musical Instruments, accessories and services. At this counter, you can buy Strings and accessories, other instruments and arrange other musical services. Pack of 10 assorted plectra.15 packs available. Student Violin: Bow: & Case. Not been played for years. One of 2. One is 3/4 - one is full size. This is the full-size one. A student violin, not been played for years with bow and case. One of two. One is 3/4 - one is full size. This is the 3/4 size one. 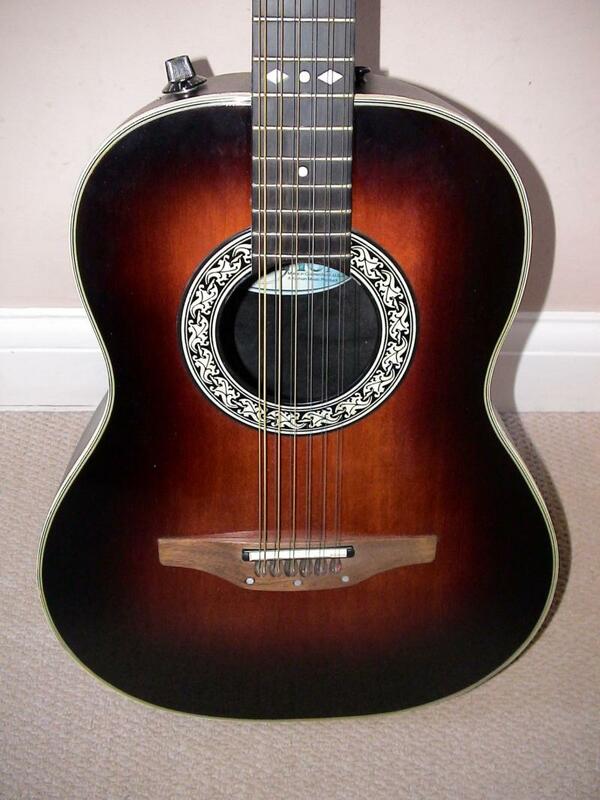 Ovation 12 String Pacemaker guitar for sale. A 1980s model in top condition, with a case. This is an electro-acoutsic guitar: model 1615. These once popular bowl-back guitars are still being sought by 12 string players. Shipping additional according to destination. UK local may be £20 more to further afield. Free if collected. This is 36 years old and all systems are working. Stool included. It has been donated to help raise funds for Starlight charity in aid of terminally ill children.